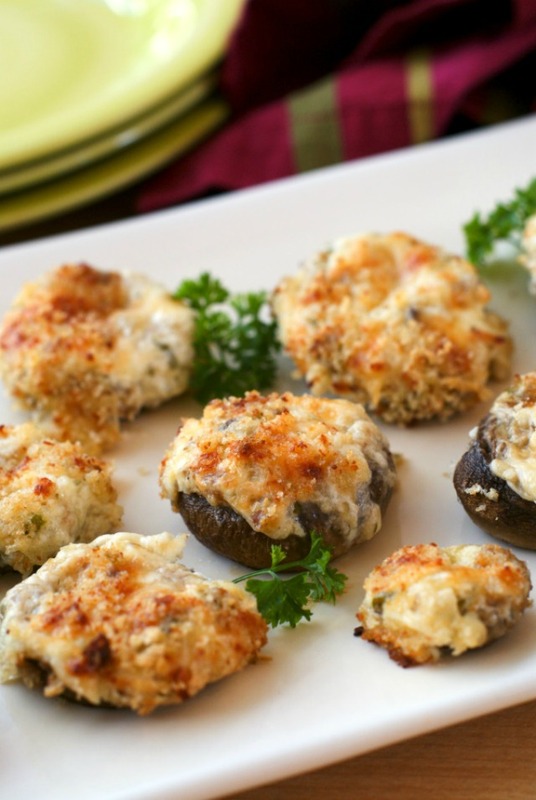 Three Cheese Stuffed Mushrooms are a party-perfect appetizer made by stuffing mushrooms to the brim with three kinds of cheese and topping them with buttery panko breadcrumbs. I am so excited to tell you guys about this recipe. I am new to the stuffed mushroom game. Well, not eating them, but making them. I decided for my first go at stuffing mushrooms I'd go with a sure winner for the stuffing...oodles of gooey, melty cheese. These were so decadent, so flavorful and would be absolutely perfect for a party. Check out the recipe over at Real Housemoms where I am a monthly contributor. I hope you love them as much as we did!